VPN Tracker now supports Juniper’s SRX-Series: the high performance gateway series that scales up from small offices to large enterprises. 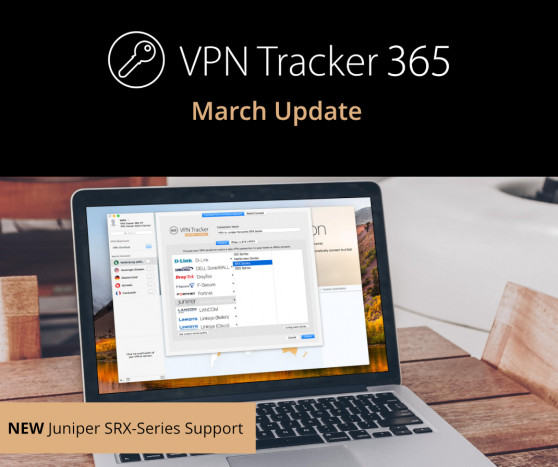 With VPN Tracker 365 you can now connect to any Juniper SRX VPN gateway from your Mac. Our guide even walks you through setting up multiple highly-secure VPN tunnels for multiple Mac users with Juniper Next-Generation Firewalls. For our full guide on how to configure a Juniper SRX, or one of 300+ other VPN gateways , visit our compatibility page. You can now create a VPN shortcut to the latest version of Microsoft Remote Desktop in the VPN Tracker 365 app. Gain instant remote access via VPN to your Windows computer with a single click, with a smart VPN Shortcut. 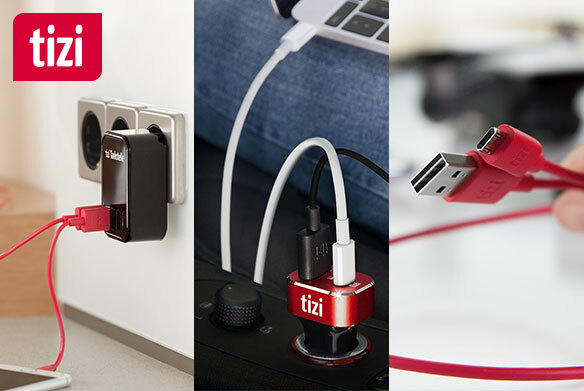 Tip: VPN Tracker 365 Pro users can even export VPN Shortcuts to colleagues and team members, to give everyone a quick start to commonly used services. 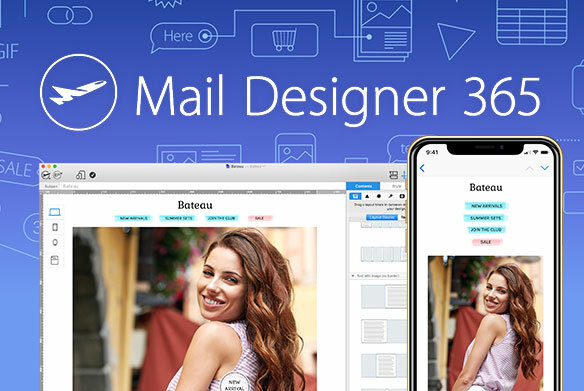 We have also improved Connection Safe – the highly-secure, encrypted VPN connection storage and sync service built-in to VPN Tracker 365: Enjoy more efficient performance when fetching a large number of VPN connections from your secure Connection Safe. As with all VPN Tracker 365 updates, this update, along with all of the new features, is included in your VPN Tracker 365 plan at no extra cost. 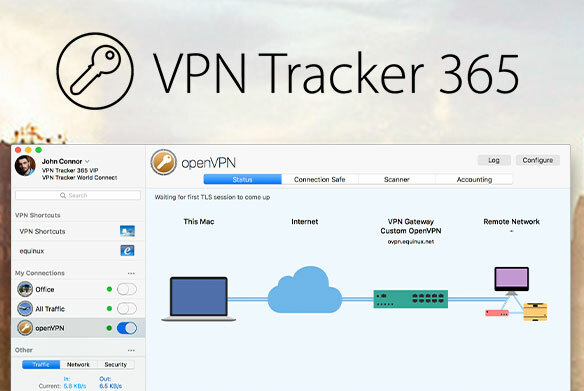 Open VPN Tracker 365 and select “VPN Tracker > Check for updates” from the the drop down menu to download the latest update. Interested in purchasing or upgrading to a VPN Tracker 365 plan? 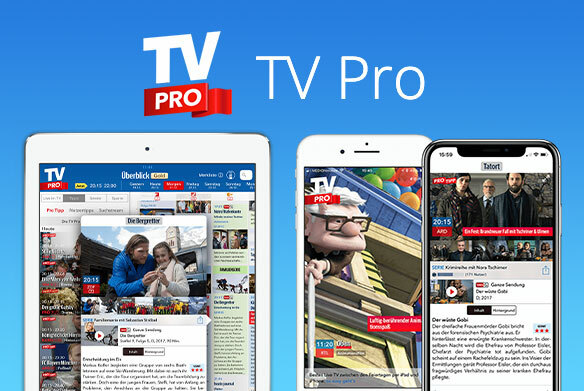 Discover all VPN Tracker 365 plans.